The 11th edition of the WFDF World Overall Championships (WOC) will be hosted in the city of Norrköping (Sweden). The event will be held from July 22-27, 2013 at the facilities at the Himmelstalund and the Folkparken venues. The successful bid came from the Swedish Frisbeesport Federation (SFF) and the KFUM Norrköping Frisbee Club as Tournament Organizing Committee (TOC) headed by SFF Secretary General Peter Lundmark. The Swedish Federation has great experience in hosting international events successfully having been a two times host to the WFDF World Ultimate and Guts Championships (WUGC - 1983 in Gothenburg and 1996 in Jönköping). They also hosted the 2010 European Freestyle Championships. "It has been more than a decade since the World Overall Championships were held in Europe, so this is an exciting development for our sport,” said WFDF Board Member Jack Cooksey, who chairs the Overall Committee. 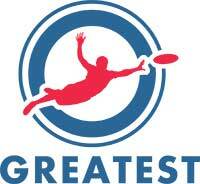 “The Swedish federation has a great track record of hosting high-quality, well-run disc sports championships. 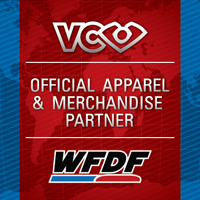 I’m certain that the community of Overall disc athletes will embrace this chance to compete in Sweden,” commented WFDF President Robert “Nob” Rauch. “To stage a major championship at the highest level has been a long-term strategic goal for Swedish Frisbeesport Federation. SFF in collaboration with the YMCA Norrköping Frisbee started working together in autumn 2012 to prepare the application for the World Overall Championships 2013. It is with great pleasure we can now announce that this is a reality” stated Peter Lundmark, SFF Secretary General, on the decision by the WFDF Overall Committee and Board of Directors. The last WFDF World Overall Championships were held in the city of Fort Collins (USA) in 2011. Competitions this year will be held in seven flying disc events — Freestyle, Double Disc Court (DDC), Discathon, Accuracy, Disc Golf, Distance and Self-Caught Flight (SCF). World champions will be crowned in the Open, Women’s and Masters Divisions for the overall classification and for each of the individual events except Freestyle and Disc Golf. The first WFDF World Overall Championships was held in 1987.